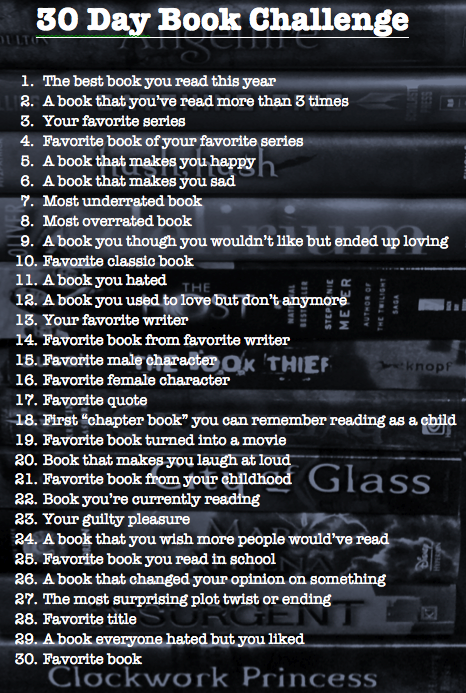 Life tends to get in the way of my 30 Day Book Challenge posts and I’m not liking it. Here are the three days I missed and today’s entry! The best book I’ve read this year is The Fault in Our Stars by John Green. I read this book about two weeks ago and I experienced my first book hangover ever. It left me wanting more. I was skeptical of this book at first because I had read Looking for Alaska and An Abundance of Katherines and they weren’t exactly my cup of tea, but TFiOS was just amazing. It deserves to be #1 in the NYT Best Sellers List.